The stunning repackage of a timeless Newbery Award Winner, with cover art by two-time Caldecott Honor Award winner Kadir Nelson! With the land to hold them together, nothing can tear the Logans apart. Why is the land so important to Cassie's family? It takes the events of one turbulent year—the year of the night riders and the burnings, the year a white girl humiliates Cassie in public simply because she is black—to show Cassie that having a place of their own is the Logan family's lifeblood. It is the land that gives the Logans their courage and pride, for no matter how others may degrade them, the Logans possess soemthing no one can take away. Mildred D. Taylor is the author of nine novels including The Road to Memphis, Let the Circle Be Unbroken, The Land, The Well, and Roll of Thunder, Hear My Cry. 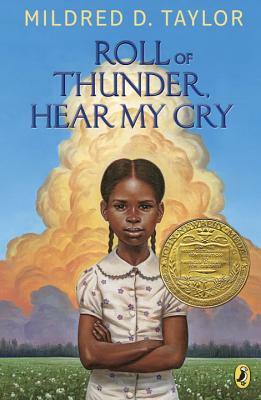 Her books have won numerous awards, among them a Newbery Medal (for Roll of Thunder, Hear My Cry), four Coretta Scott King Awards, and a Boston Globe-Horn Book Award. Her book The Land was awarded the L.A. Times Book Prize and the PEN Award for Children's Literature. In 2003, Ms. Taylor was named the First Laureate of the NSK Neustadt Prize for Children's Literature. Ms. Taylor now devotes her time to her family, writing, and what she terms "the family ranch" in the foothills of the Rocky Mountains. Kadir Nelson (www.kadirnelson.com) is a two-time Caldecott Honor Award recipient. He has received an NAACP Image Award, a CASEY Award, the 2009 and 2014 Coretta Scott King Author Award, and the 2009 Robert F. Sibert Informational Book Award. Among Mr. Nelson's other awards are gold and silver medals from the Society of Illustrators. His work has appeared in The New York Times, Sports Illustrated, and The New Yorker. He lives in Los Angeles.